We are excited to announce that the inspirational Adrian Brannan will be gracing our online platform with her presence each week! Adrian Brannan. Photo by Ken Amorosano. 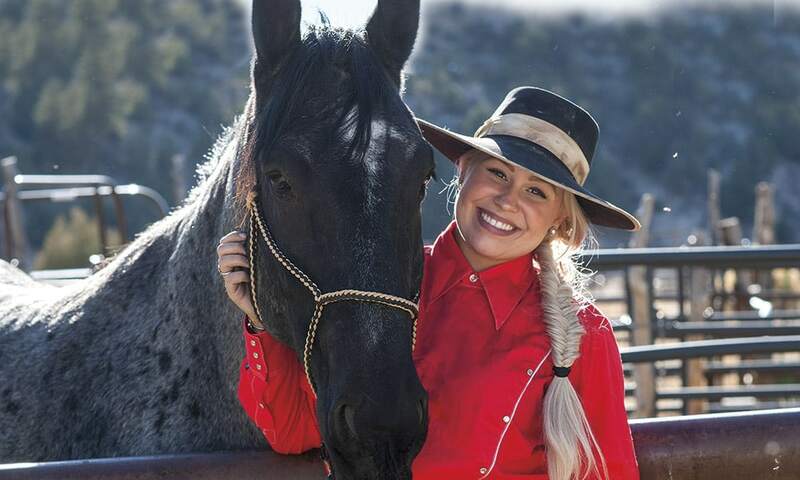 COWGIRL Magazine is excited to announce that the inspirational Adrian Brannan, better known as Adrian Buckaroogirl, will be gracing our online platform with her presence each week starting this Thursday, December 6th, at 2:00 pm. Adrian will be sharing her popular “Dear Cowgirl” inspiration letters with our COWGIRL readers, and you do not want to miss out on these moving pieces. I have been on the edge where you now stand, wishing to take that leap of faith and to jump as far and as high as you can… but fearing the landing. Dear cowgirl, I will let you in on a little secret. You will land on your feet. Your two strong legs will hold you up. Your strong arms will make things happen. Your smart head on your shoulders will find a way. You will NEVER ever succeed if you do not jump. The fear of failing is the only failure there is. Did you know that Adrian was on the cover of COWGIRL’s January/February 2018 issue? If you haven’t had the chance to read our story on Adrian, click here!